(Bloomberg) -- Talam, a farmer struggling to stay afloat growing shallots on the island of Java, embodies an under-acknowledged risk for Indonesia’s President Joko Widodo’s bid for a second term in office. 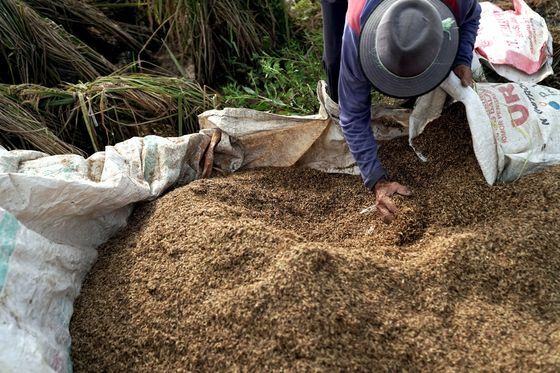 Volatile prices for rural goods from palm oil to rubber in recent years have rocked the livelihoods of some 36 million Indonesian farm workers, representing one in five voters in the April 17 presidential and legislative elections. Talam, who goes by only one name, said he blames Widodo, known locally as Jokowi. 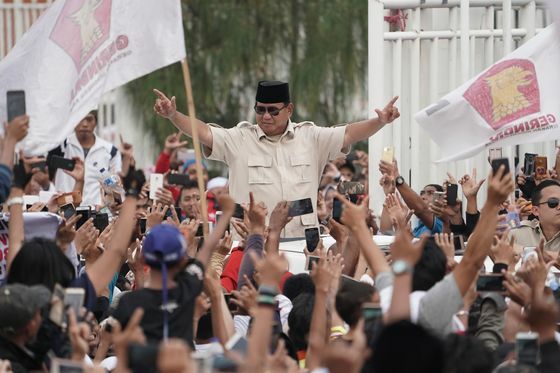 While Indonesia isn’t immune to fluctuations in global commodity prices, Jokowi’s only rival Prabowo Subianto is drawing supporters with a campaign critical of the incumbent’s use of food imports to cool inflation that he contends are linked to worse farm profits. Most independent pollsters predict Jokowi will win. Still, the former governor of Jakarta’s margin is narrowing, with a survey by Kompas newspaper last month finding support for Jokowi dropped to 49.2 percent a month ago from 52.6 percent in October. 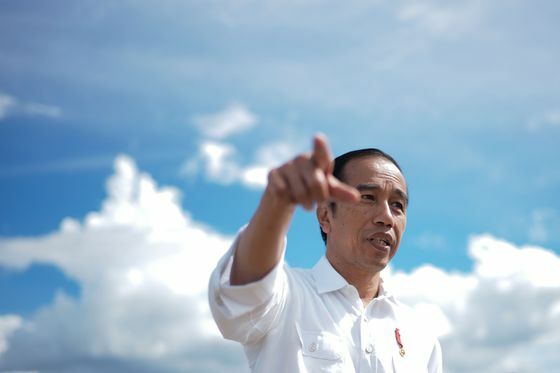 Both Jokowi and Subianto, a former army general and son-in-law of dictator Suharto, are trying to lure rural voters -- long seen as a key voting bloc in Indonesian elections, said Assyifa Szami Ilman, a researcher at the Center for Indonesian Policy Studies, in Jakarta. The appeal of either candidate to farmers will come down to their breadth and depth of engagement, he said. Low crop prices and high costs of pesticides, fertilizers and seeds are the main concerns of 31 farmers Bloomberg interviewed last month during a 946-kilometer (588 mile) road trip that crisscrossed Central and Western Java. Besides Talam, six farmers said they favored Subianto, widely known as Prabowo. Ten said they would vote for Jokowi, and the others were yet to decide. Some surveys have estimated about 10 percent of about 193 million voters are undecided. While Jokowi has centered his campaign on his government’s achievements, Prabowo has accused the president of failing to protect farm interests. He’s also vowed to tackle economic inequalities in the world’s fourth-most populous country and to “seek a better deal” in trade with China. Jokowi has pledged to build dams to irrigate more farmland, and to boost rice, soybean and sugar stockpiles -- a policy that Prabowo blames for depressing the price of locally produced crops. Jokowi defended his administration’s purchases, saying they were necessary to ensure price stability. Inflation eased to 2.48 percent last month, the slowest pace of price growth since 2009. Indonesia has emerged as one of the world’s top importers of wheat and sugar in recent years even as it has achieved some success in trimming shipments of staples such as corn through higher local production. “Whoever wins the election, the president must pay more attention to us farmers,” said Uang, a 75-year-old rice-grower from Karya Mukti, a village in West Java. The current government sought to appease consumers with cheaper staples at the expense of farmers, he said. Still, some farm workers said Jokowi’s broader social policies were enough to gain their vote. Solehat, a 41-year-old father of two from Pasirtanjung, a village on the eastern fringe of Jakarta, said he was grateful for the 750,000 rupiah ($53) he receives from the government each quarter to supplement the 200,000 rupiah he sometimes earns for three days of harvesting rice paddy.